In order to grow your tech business into a successful one, you need to have stellar planning skills and organizational procedures in place. You would be pretty surprised how many people don’t have these key factors at the forefront before opening, or during the first few years of being in business. The truth is, a lot goes into running a successful tech business, and organization plays a critical role. Organization and the strategy you employ to make organization happen. What organization tips and tricks should you have in mind when developing a powerful strategy? The following may serve useful in answering this important question. Let’s dive in! Before you can develop any organizational foundation, you need to map out business flows for as many areas as possible. From daily operations to sales, having business process mapping charts in place builds structure for future growth. 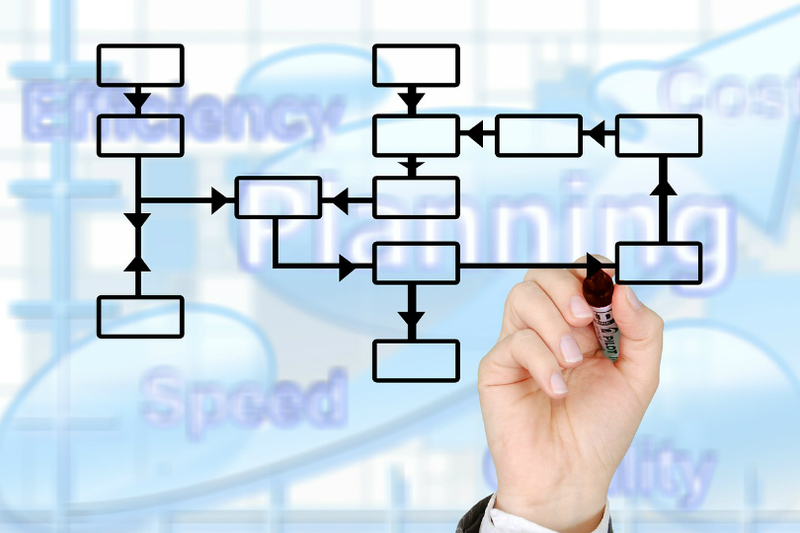 “Business Process Mapping can be used to document a current process and to model a new one. Its purpose is to gain a detailed understanding of the process, people, inputs, controls and outputs, and then potentially to simplify it all, make it more efficient and/or improve the process results,” according to diagramming solution software company Lucidchart. Getting organized and having a strategy for growth isn’t always about your business. It is also about the business of your competitors. Why? Learning more about your competition can have a big impact on how you develop strategies to net more customers. For instance, if you find a gap in the products and/or services your competitors offer, you can fill that gap and get more business. Not all things in your business will be about the technology you are serving up. Sometimes you and your team need to take a step back and look at the customer perspective as well. This makes customer service a vital organization strategy for powerful tech business growth, especially in 2019. Why this year? Consumer behavior is shifting, leaving customers to want more personalized experiences with the businesses they purchase products and/or services from. You need to understand your customers and work with them. Customers also have access to a wide range of ratings and reviews. So if you want to increase sales, you’ll need to take care of your customers, leading to positive ratings and reviews. Is developing organizational strategies for your tech business exciting? Most would say no. However, they are critical to your business growth and success. Once you begin to create organizational workflows don’t lose focus. Yes, other business issues will get in the way, but you can always lean on your team for support. After all, they are more in-tune to what is going on for their specific departments and in some cases, the overall daily operations. Once you have key organizational strategies in place, ensure they stay in place. This means staying consistent with how they are used, enforced, and tweaked if new ways are found to be better. If business owners fail to be consistent when it comes to organizational strategy, the business operations can get a bit chaotic. And chaos is always bad for tech business growth. For example, if your sales process has been streamlined, but things are not being followed through on consistently, you sales could decrease or stay stagnant. The purpose of having organizational strategies in business is to be able to rinse and repeat success. This in-turn facilitates powerful growth and profit. The above five organizational strategies are only the tip of the iceberg. There are certainly more to employ, but these are among the most important. They can set up a road map for future success, especially when scaling is on the table for your tech business. What has been your greatest organizational strategy? We want to hear from you.